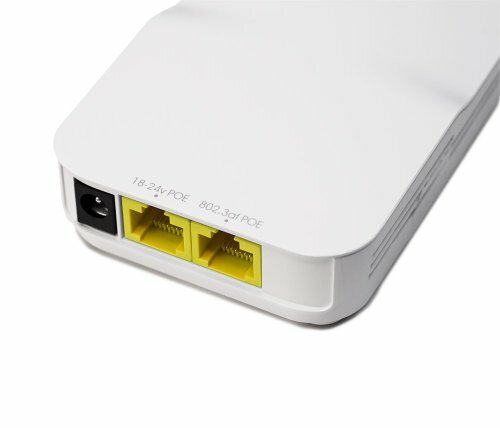 The NEW OM2P-HS now with 802.3af PoE support and twice the power. Get robust, reliable, and uninterrupted WiFi in every corner of your home or office, no matter the size or location, with the OM2P-HS 802.11gn 300mbps HIGH SPEED Access Point Router. The fastest of the Open Mesh products, OM2P-HS 802.11gn 300mbps HIGH SPEED Access Point Router offers enterprise-level technology at consumer-level prices. Youll love the cloud based management with OMs CloudTrax, where you can easily set up a free account, configure your network name, security, key, etc. In fact the breadth of features on CloudTrax covers all the bases and every detail you may need for a seamless interface with all their products. Set your unit up with ease, create the kind of WiFi systems you need, and provide pay-to-use WiFi services to your customers, all while protecting your own computers on a private network. Even better, charge directly through your personal Paypal account, which interfaces directly with the CloudTrax landing page. This high-powered unit is easy to work with, does everything it claims, and has more power than any other equipment out there. It will be the last one you ever need to buy! If you have any questions about this product by Open-Mesh, contact us by completing and submitting the form below. If you are looking for a specif part number, please include it with your message.